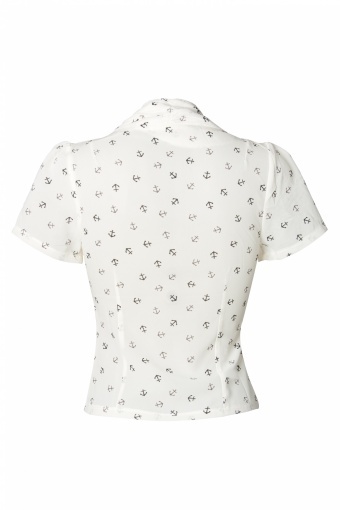 40s Greta Anchor Blouse from Collectif. Elegant fourties vintage style blouse with shawl collar. 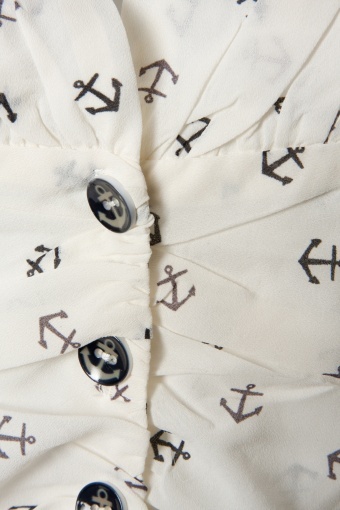 Made of a light crepe chiffon in ivory and cute black anchors. 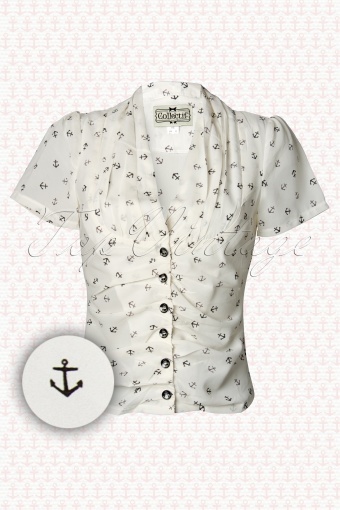 Nice details are the vintage style small anchor buttons. This short top is perfect to be tucked unto a high waisted pencil skirt or pants for a truly vintage look. 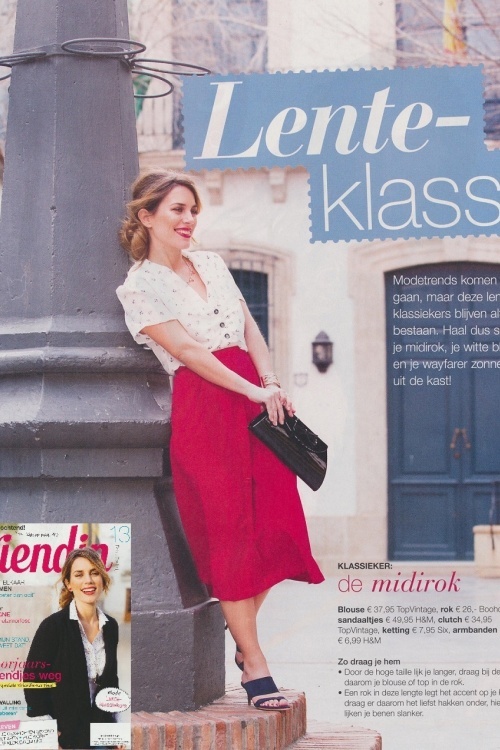 Dutch TV host Bridget Maasland wore our blouse in TV programme Showlaat and Dutch magazine Vriendin!